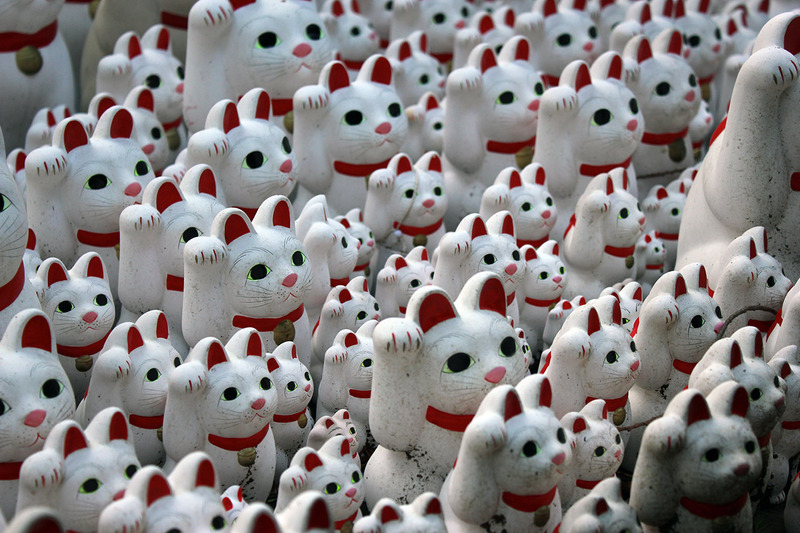 These are the 1991 Endy Awards, wherein I pretend to give out maneki-neko statues to the best in that year in film. Awards for many other years can be found in the Rankings & Awards Index. Eligibility is determined by imdb date and by whether or not I’ve seen the movie in question. Nominees are listed in alphabetical order and the winners are bolded. And the Endy goes to. . .
Levant has previously won this award twice, for Beau travail and Holy Motors. Martin and Gielgud are the runners-up, in a tight race to Turturro’s career-defining work. Maggie Cheung finally gets her Endy, after her fifth nomination in ten years. Goodman also won Best Supporting Actor for The Big Lebowski in 1998. Hopkins won the Best Actor Oscar this year of course, but he’s on-screen for only about 15 minutes. Reeves and Swayze get nominated for career-best performances. Chang Kuo-chou just misses the nomination for A Brighter Summer Day, which would have made him and Chang Chen the first ever father/son pair to be nominated in the same year. Was tempted to place Jennifer Jason Leigh in Rush here, but after taking a hardline against Anthony Hopkins I can’t rightly bend the rules for her. Well, I can because these are my awards and I can do whatever I want, but I’d feel bad about it. Really want to see Van Gogh. One of my movie goals for 2016. As cliché and ripe for parody as Oliver Stone’s rapid-cuts and film stock shifts would become, JFK is a truly wondrous whirlwind. Stanley Kwan’s recreation of the Shanghai film world in the 1930s is as meticulous as it is lovely, the lush costumes and sets trapping actress Ruan Lingyu in luxury and fame. I mean, there’s a Japanese translation of the theme from The Rose and two songs by Zamfir, Master of the Pan Flute. Really tempted to give the Endy to the wire-fu in Once Upon a Time in China, but that would be kind of insane. Besides, Tsui Hark’s effects won in 1992 for Swordsman II.